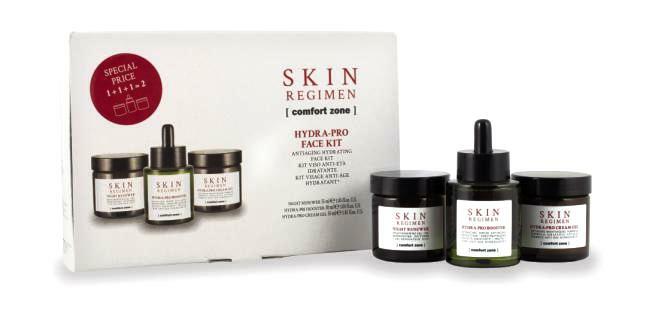 Italian spa brand Comfort Zone have created a new line called Skin Regimen. It was developed with the help of a team of doctors and scientists and are calling it a ‘nutriceutical’ range as it includes a supplement that you’re to take orally. When creating the line, Comfort Zone considered the factors that contribute to ageing and these include stress, crappy diet and not enough exercise. While only you can really help yourself in those areas, they reckon their range can help you out with other factors like oxidation, inflammation and glycation (the hardening of your collagen). Thus, the facial products contain a ‘Longevity Complex’, an antioxidant-rich mix of spinach, maqui berry, chia seeds and carnosine. I got to try a few of their products, the first being the Duo Cleanser, a milky lotion that they refer to as a cleanser and toner in one. It leaves a bit of a film on your face afterwards which is supposed to help your skin retain moisture but I wasn’t a fan as I prefer something that can remove eye make-up and leaves my face feeling almost squeaky clean. I reckon those with drier skin types will probably appreciate it. Comfort Zone Skin Regime Duo Cleanser, R330. Next up, I got stuck into the Hydra-Pro face kit, an anti-aging hydrating trio consisting of a serum, day cream and renewing night gel. The Hydra-Pro Booster hydrating serum (R900) is very nice. In terms of texture/feel, it reminds me a lot of Estee Lauder’s Advanced Night Repair; a watery brown-coloured liquid. It sinks into your skin in a flash and, thanks to its hyaluronic acid content, you can pretty much watch those fine dehydration lines disappear within minutes. The Hydra-Pro Cream Gel (R800) is also lovely. As the name states, it’s a delish crème-gel that also hydrates like a boss but doesn’t feel too heavy. 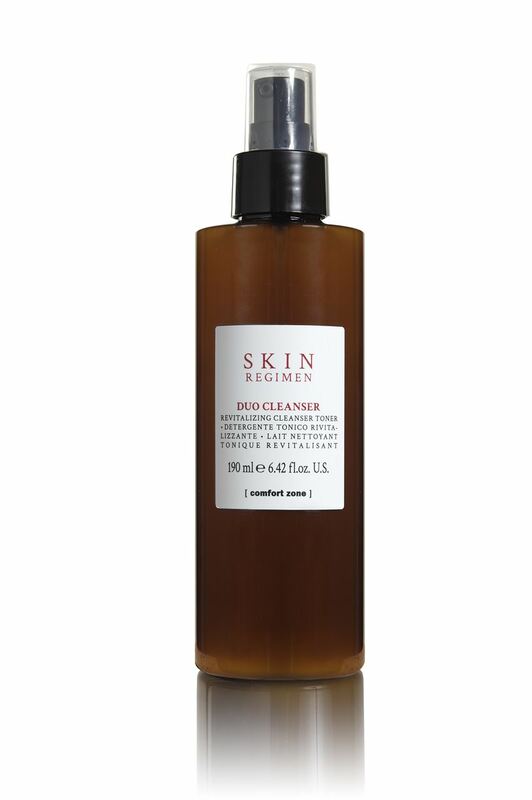 It’s ideal for those with oily-combo skins who still need moisture, especially as we head off into colder, drier weather. Like the serum, it also contains hyaluronic acid and the antioxidant-rich Longevity Complex. The Night Renewer gel (R800) contains 6% alpha hydroxy acids to gently dissolve the bonds between dead skin cells so they slough off to reveal fresh, brighter-looking skin. You’re supposed to leave it on for 10 minutes and then wash it off but my skin’s used to stronger AHA’s that can be left on all night so I just slapped it on and went to bed. If you’ve got sensitive skin, however, you might want to follow the rules. The next morning, my face felt nice and soft and looked a little bit smoother than it had the night before. Aside from the Hydra-Pro products I was given, the brand has two other items aimed at those who are more interested in anti-aging; a Juvenate-Pro booster serum (R1 150) that contains 1% retinol and a Juvenate-Pro Rich Cream R1 050). Last but not least, Skin Regime offers an oral supplement. 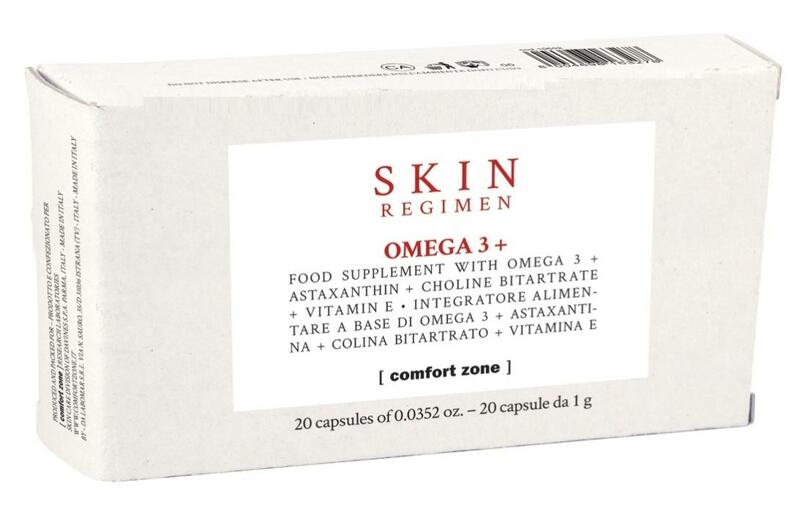 Skin Regime Omega 3 + supplement, R200 for 20 capsules. It contains omega 3, vitamin E, astaxanthin and choline bitartrate. Astaxanthin, despite soundly like a deadly zombie virus, is actually a potent antioxidant. You can read more about it over here. Choline bitartrate is a ‘mood rebalancer to help counterbalance stress’. Some thoughts? If you’re set on trying the line, have combination skin and are focused on anti-aging, skip out on buying one of the kits and invest in Juvenate-Pro serum to use underneath the Hydra-Pro Cream gel. You’ll get more anti-aging bang for your buck from that, the serum, as it also contains hyaluronic acid and the antioxidant complex but then you also get the added benefit of retinol. Still, whichever items you buy, be sure to repackage them into air tight tubes to preserve their actives. Anyway, aside from the products that you can use at home, you can also indulge in a 30 minute in-salon Skin Regime facial (plus minus R450). This involves a super mild, non-irritating facial peel using a mix of acids. This way you’re going to leave with skin that’s stimulated to renew a little faster over the next few days as opposed to turn bright red and flake off in sheets. I got to experience one at Carlton in Constantia Village and left feeling relaxed with plump, glowing skin. To find a salon that stocks the products in your area, call (011) 7913567.